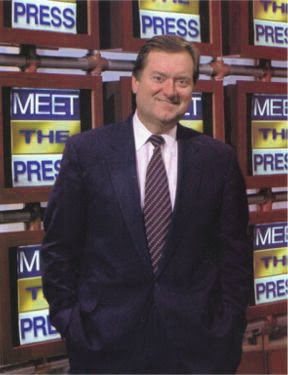 As a fellow brodcaster and Meet the Press fan, it's only right that I mention the passing of Tim Russert. I was personally of great fan of Tim's style of interviewing, tough but fair and pretty unbiased. Tim served as the moderator of Meet the Press for 17 years until his sudden death on June 13th of a massive heart attack. From one fellow working-class kid from Buffalo to another...God Bless Tim Russert!